Contact Miami Accident Lawyers Gerson & Schwartz, P.A. North Miami is a safe and happy suburb to live and work in. 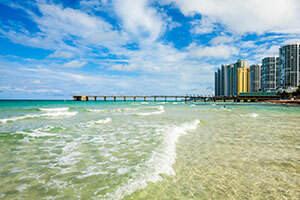 It is centrally located between the cities of Miami and Fort Lauderdale. It is home to numerous college campuses and Florida’s largest urban park, the Oleta River State Park. The suburb also draws in many tourists with the Miami Auto Museum and the Museum of Contemporary Art. It is a great place to live and visit, however, it is not crime-free. All types of property and violent crimes occur throughout North Miami, which can impact residents and visitors. As a resident or tourist, you may be the victim of a physical assault, sexual assault, robbery, or burglary. You could be pickpocketed or mugged, or you have your hotel room broken into while you are present. During all of these offenses and many others, you could be physically and psychologically hurt. If you were injured during a crime in Miami-Dade County, do not hesitate to call a North Miami crime victim lawyer at Gerson & Schwartz P.A. You can reach us at (877) 475-2905 or online to schedule a free consultation. In 2017, the North Miami Police Department reported the town had a population of 63,780 and there was a total crime index of 3,099, according to the Florida Department of Law Enforcement. In all, the crime rate per 100,000 population was 4,858.9. This may seem high, but it is not out of the ordinary for Florida. Many municipalities had similar or higher crime rates that year. There are also several municipalities with significantly higher crime rates. 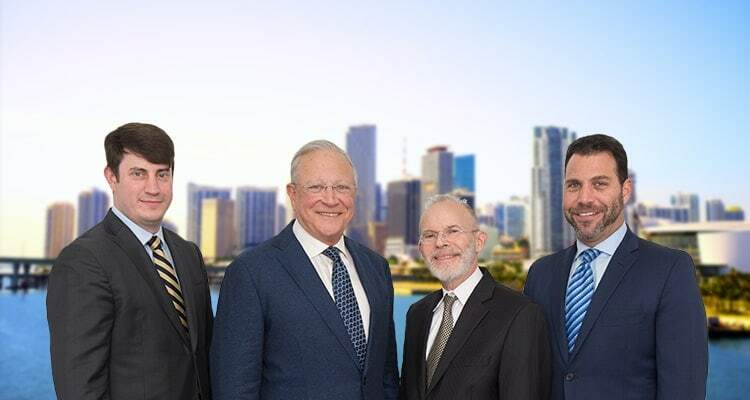 If you were injured during a crime, or your loved one was killed in a crime, call our crime victims lawyers for North Miami as soon as you can. We our highly experienced personal injury and wrongful death lawyers. Given the traumatic circumstances of your case, we will focus on ensuring you receive the medical and mental health care that you need. We will connect you with crime victim services in your area. And then, we will guide you through pursuing compensation for your injuries, whenever that is possible. After being injured during a crime, you may think that your rights are based only in criminal law. You might think the only way for you to receive justice and restitution is if the offender is brought up on charges and convicted. However, this is not your only option. You also may have the right to pursue compensation through the civil court system. Under Florida’s personal injury law, you may pursue compensation through the civil courts if another person caused you harm through their carelessness, recklessness, or intentional misconduct. If you were injured during a crime that the offender knowingly committed, then you can pursue compensation. In a civil court, you do not have to prove that the defendant committed a crime beyond a reasonable doubt. Instead, your crime victim attorney for North Miami will seek to prove that the defendant willfully harmed you by a preponderance of the evidence. This is a lower standard than in criminal court. The offender does not have to be convicted in a criminal court for you to prove your injuries and their liability in a civil court. If you were injured during a crime in an apartment building, public area, store, entertainment venue, or hotel, then the offender may not be the only party responsible for your injuries. When the building and property are owned by someone else, that owner has the responsibility to provide adequate security. If the owner failed to install appropriate security measures despite knowing there was a risk of crime, then they may be liable for your injuries. If you believe you were targeted because of inadequate security, call us at Gerson & Schwartz P.A. right away. Our premises liability attorneys will thoroughly investigate your situation. We will determine what duty the landowner owed you at the time of the crime, particularly in regard to safety measures, and whether the landowner failed to uphold that duty. If there is evidence of negligent security, we can represent you in a claim for compensation. Gerson & Schwartz P.A. has built a strong reputation as being a firm that fights hard for crime victim’s rights. We have over 48 years of experience, and through the decades, we have dedicated ourselves to helping individuals hurt during crime. Philip M. Gerson was the founding board president of the National Crime Victim Bar Association and is the chair of the board of directors of the National Center for Victims of Crime. We may be able to connect you with services at the Trauma Resolution Center, National Center for Victims of Crime, the National Organization for Victim Assistance, or the Office of Victims of Crime in the U.S. Department of Justice. To learn more about how we can help, call our Miami-Dade County office at (305) 371-6000.